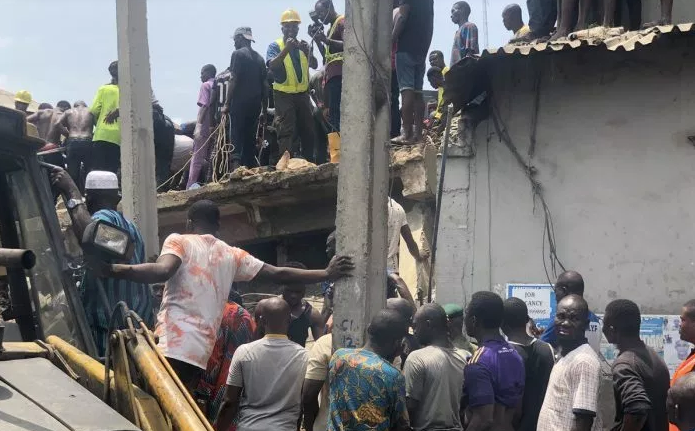 The Nigerian Red Cross (NRC) has appealed for blood donations for victims of the collapsed building on Lagos Island. Mr Olakunle Lasisi, Secretary of NRC, Lagos made the appeal in an interview with the News Agency of Nigeria (NAN) on Thursday in Lagos. Speaking on the hashtags #DonateForItafaji and #savetheitafajichildren trending on social media, to solicit for blood donations from the public, he said Red Cross would partake in the exercise. Lasisi commended the Red Cross volunteers and other agencies such as LASEMA, LASAMBUS, NEMA, FED FIRE and Nigeria Police, whose efforts ensured that lives were saved. “We left the point at about 12:30 am; we were moving out the debris there. “There are a lot of agencies and two construction companies also assisting. “The data we were able to collate tells us that we have about 45 persons that were evacuated and a good number of them are students,” he disclosed.